Jenny completed her BA (Honours) in Applied Psychology and her Masters in Educational Psychology in South Africa.She practiced as an educational psychologist in Johannesburg in a school and assessment centre for children with learning difficulties, as well as in private practice. 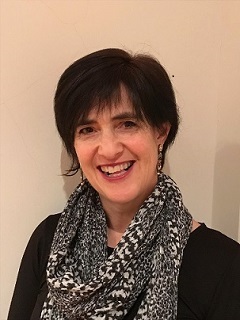 Since moving to Australia in 2001, Jenny has worked in the public health system as part of a clinical assessment, and diagnostic team and a therapeutic intervention team. Currently, she divides her time between her private practice and her role as School Counsellor at a private boy’s school. Jenny works with and supports children who have issues associated with learning difficulties, giftedness, anxiety and attention. She provides help with these issues and promotes the child’s progress and wellbeing at school, home or with peers. She provides selective assessments based on the child’s needs and the concerns of families and teachers. She performs in depth and integrated assessments of IQ, learning achievement and school readiness using a variety of standardised tests. She has experience in identifying difficulties associated with ADHD, Autism Spectrum Disorder and other developmental problems. As a mother, Jenny is appreciative of the support families often need in understanding the complexities and impact of their child’s difficulties as they confront upheaval, change or loss in their lives. Jenny is registered with APHRA and is a full member of the APS.